The Blue Ginger's location in the CBD might explain why its constantly filled with white-collar types and expats looking to get acquainted with the cuisine. 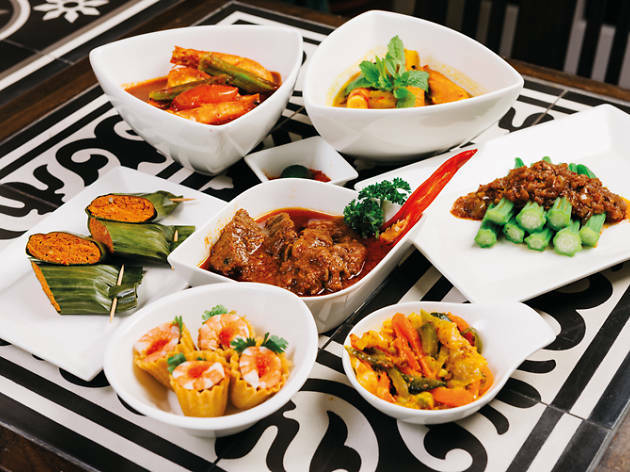 For the seasoned palate, it does ultimately mean that the food tastes blander than most other Peranakan joints, like the steaming claypot of mild Nyonya fish head curry ($30.50), or the tall bowl of chap chye ($11) bereft of the promised flavours of prawn stock. Thankfully, there's redemption in the rolls of crispy ngoh hiang ($11.50) and punchy otah-otah ($4). If anything, it's a convenient spot to take a visiting colleague for Peranakan Food 101, without scaring him or her off with the cuisine's more intense aromas. 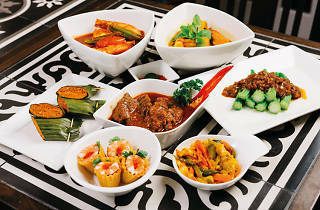 For more, check out our Best Peranakan restaurants in Singapore feature.